Here’s what’s happened in the past 19 hours: perpetual try-hard Kathy Griffin tweeted a photo of herself holding an extremely bloody and realistic (though extremely fake) decapitated head of Donald Trump, people got mad and accused her of promoting violence, Squatty Potty dumped her as a brand spokesperson, she deleted the image from her feed, she uploaded an apology video, and then President Trump tweeted that she “should be ashamed of herself.” Oh, and at some point during that timeline, the Secret Service got involved. TMZ reports today that they have “launched an investigation into ‘the circumstances surrounding the photo shoot’” and will likely interview both Griffin and the photographer, Tyler Shields, who is perhaps best known for the damage he’s done to Birkin bags. 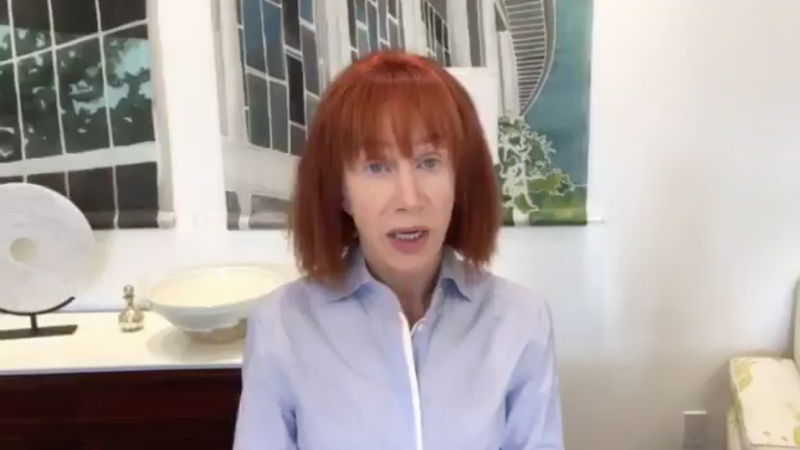 It’s unclear what will come of the investigation (though my guess is “not much”), but her awkward apology video suggests Griffin isn’t exactly optimistic about what this whole debacle will do to her career. Here are three photos. One is of Darren Criss, one is of Adam Levine, one is of Adam Levine and Behati Prinsloo, and all are bad for different reasons.